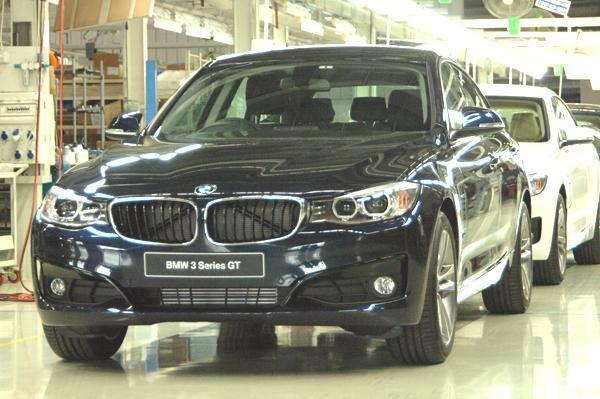 Good news for BMW fans, BMW has announced today that it is adding a 2nd variant to its BMW 3-series GT line-up in India. The new variant is called as 320d GT Sport Line and has been priced at Rs 39.9 lakh (ex-showroom, Delhi). The all new BMW 320d GT Sport Line gets a black slats for the kidney grille with the chrome surround. The bumper of the car gets minor styling tweaks as well. At the rear of new car you can notice the exhaust tips with the black chrome finish. The interiors of the new car gets the special “BMW Sport” door sills. You can see the leather-lined interior having the red contrast stitching on the seats as well as the steering wheel. There is also presence of fine-wood trim with the chrome details. BMW 320d GT Sport Line gets the customizable ambient lighting for interiors of the car, that gets set to either orange or white color. BMW 320d GT Sport Line is powered by the same 2.0-litre diesel engine as that of standard variant and is available in 5 different exterior shades. BMW 320d GT Sport Line has been priced at 39.9 Lakhs in India. For regular news updates on cars and bikes in India do subscribe to our newsletter or follow us on Facebook or Twitter.